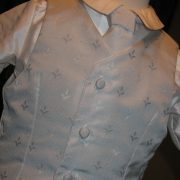 A trendy Christening Waistcoat to brighten any Christening or party. 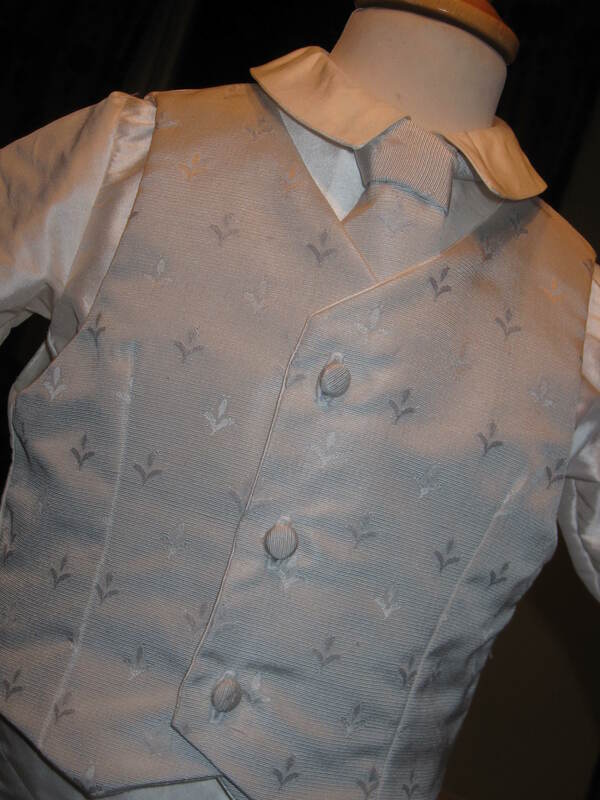 If you are searching for a little bit of colour to add to your chosen romper, why not select a christening waistcoat to go over the top? 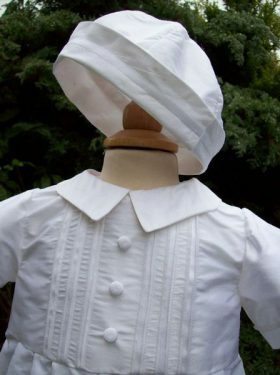 Or, perhaps your little boy is a bit too old to wear a romper but you still want him to look special for his big day? 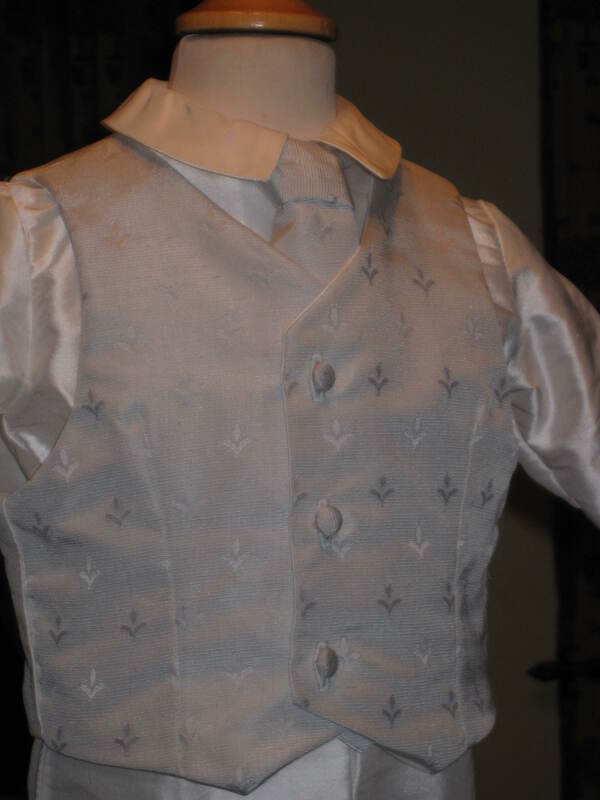 Out waistcoats are created from silk dupion with a jacquared silk front. 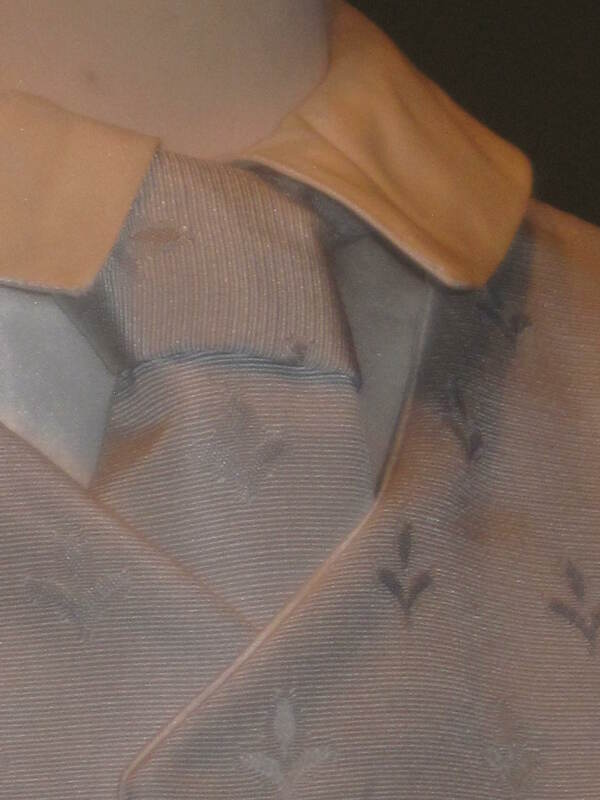 Three silk buttons finish the garment off perfectly. 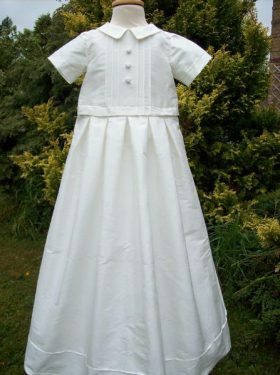 We have a selection of colours and designs of silk for you to chose from. 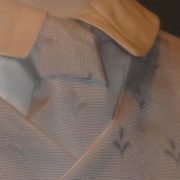 Please contact us for samples. 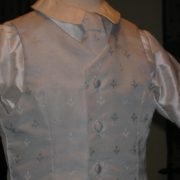 This silk Christening Waistcoat is part of the Joshua Suit. 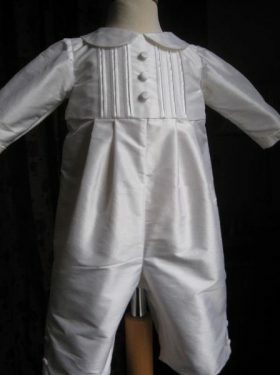 The Suit is perfect for older boys. 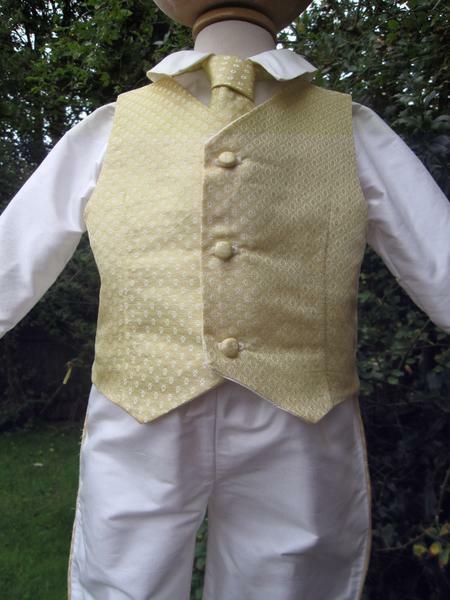 We can create the suit in a variety of colours and fabrics. Please contact us for further details. 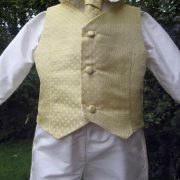 The Christening Waistcoat is made to measure, size details will be taken from you after you have placed your order.